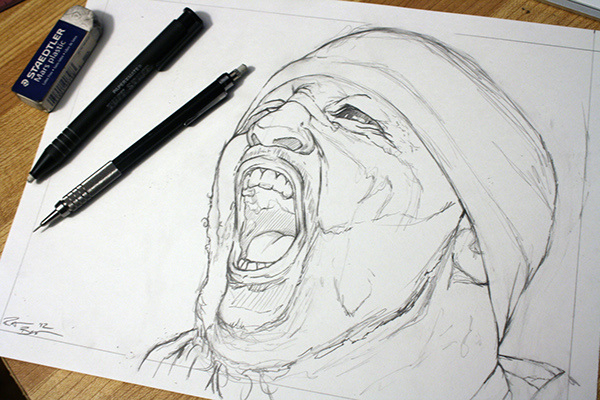 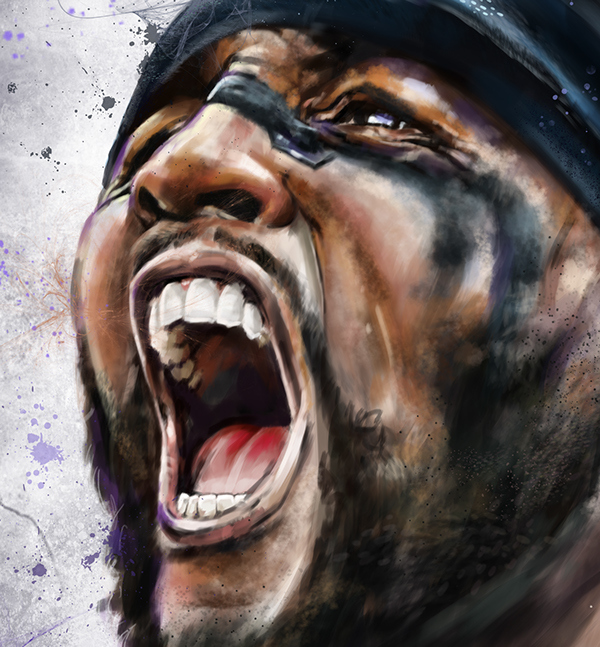 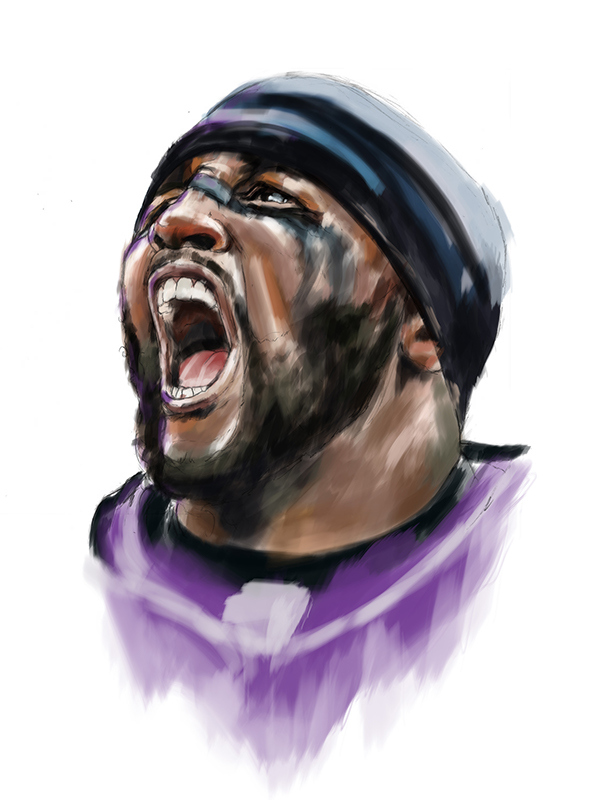 Digital Illustration of the Baltimore Ravens Middle Linebacker, Ray Lewis. 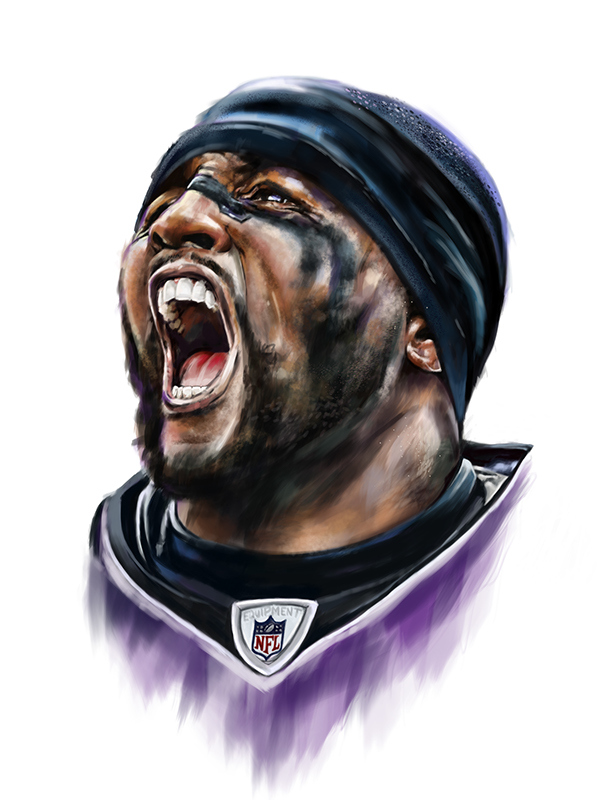 Ray is without a doubt one of the best defensive players and leaders the league has ever seen. 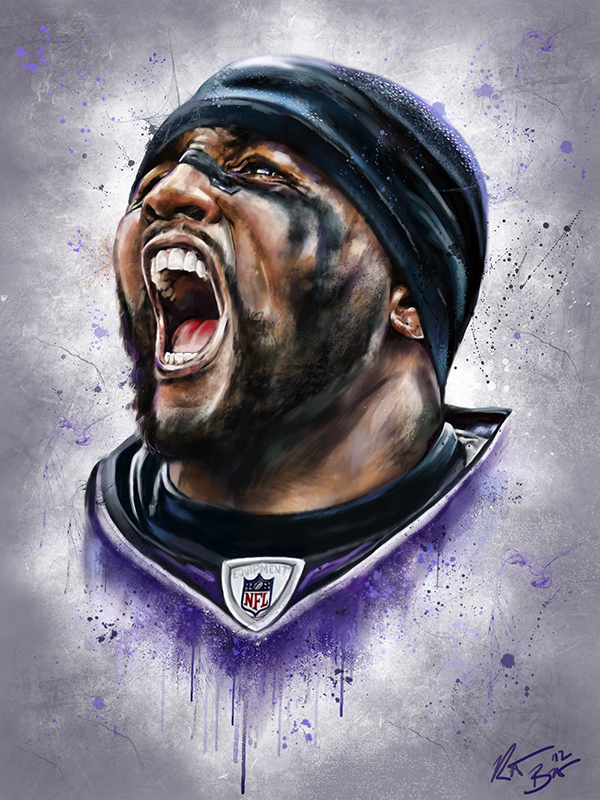 This piece commemorates his career as he will be retiring following the superbowl.